when sources report that Yorkshiremen of the 51st Regiment of Foot picked white roses from bushes near to the battlefields and wore them on their clothing. Some accounts describe this as an act of tribute to their fallen comrades after the battle, placing the flowers in their coats, although an alternative theory is that the flowers were plucked and worn during the advance as an act of bravado, placing them in the head-dress. The Yorkshire Ridings Society itself on its website writes “250 years ago, on the 1st August 1759, soldiers of the 51st Regiment of Foot, a Yorkshire Regiment, took part in the battle of Minden… Reports of the battle mention that the British Soldiers picked roses and wore them on their uniforms, possibly in memory of their fallen comrades. News was in black and white in those days so the colour of the roses is not known.” which even sheds doubt on whether the flowers in question were actually white! However, there is certainly a “white rose” tradition arising from these events and on August 1st, Minden Day, a celebrated British military victory is commemorated by Yorkshire regiments with the wearing of white roses. 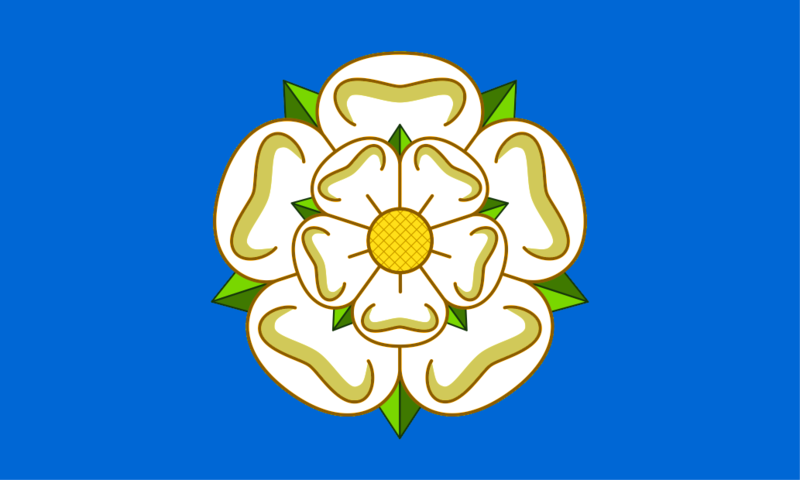 Accordingly the event and the date on which it is believed to have taken place, are now also commemorated as Yorkshire Day, when white roses are worn and the Yorkshire flag is raised. 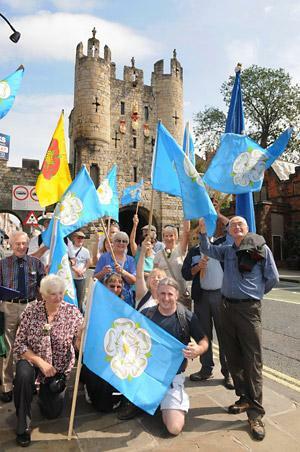 This photo depicts celebrations in Micklegate, York in 2011.